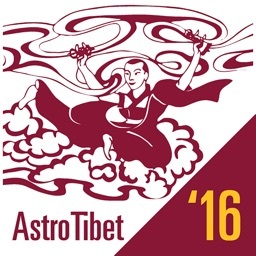 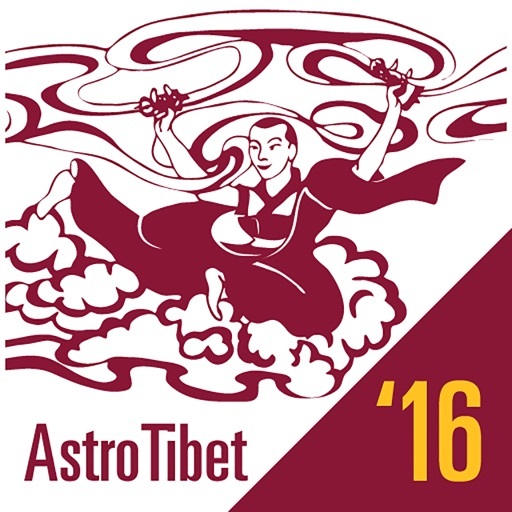 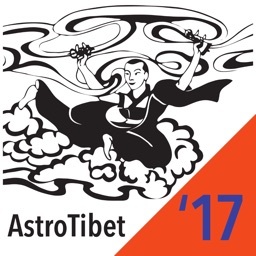 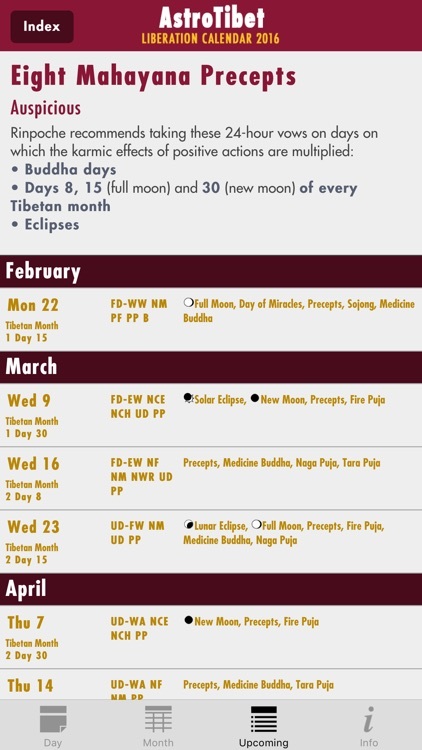 AstroTibet '16 is an astrological calendar for 2016 showing 38 kinds of auspicious and inauspicious days for activities such as medical procedures, travel, investments, business, parties, weddings, starting important activities, and spiritual and religious practices. 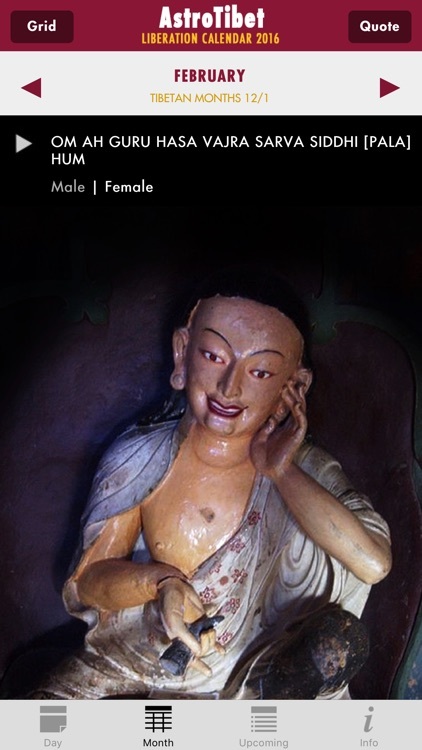 Artwork, mantras with audio, and quotes are included. 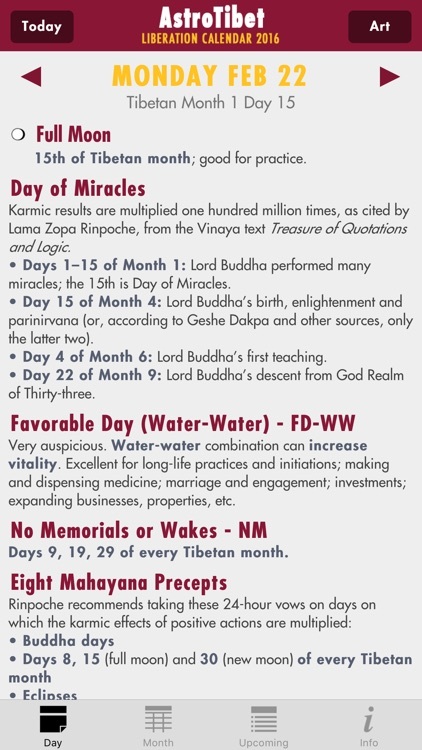 Prepared by Nawang Thartho with additional advice from Lama Zopa Rinpoche, Spiritual Director of the Foundation for the Preservation of the Mahayana Tradition (FPMT), and Geshe Nawang Dakpa, astrologer lama of FPMT's Tse Chen Ling center in San Francisco. 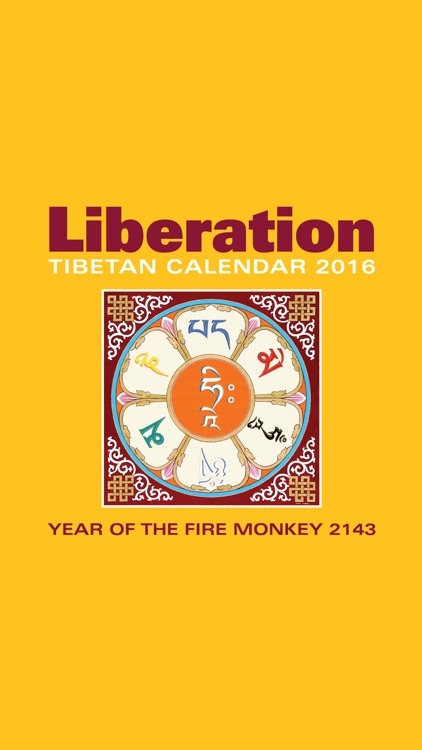 Liberation Prison Project, a social services program of the FPMT, supports men and women in prison who seek our help to learn about meditation and Buddhism, to transform their lives.